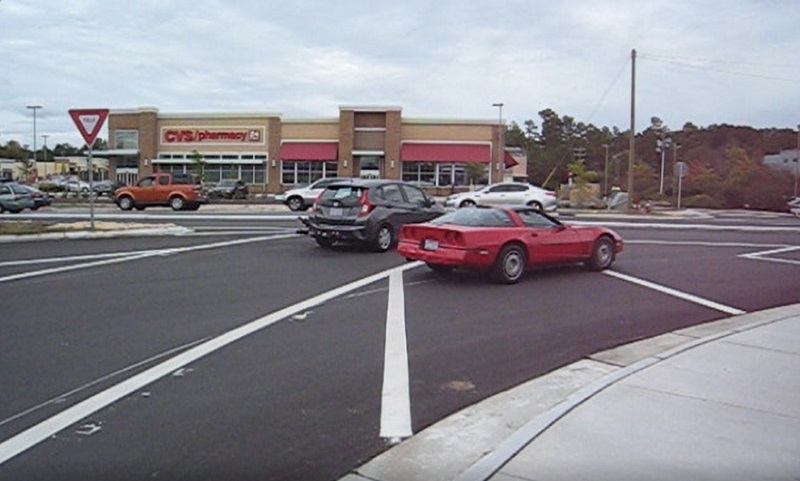 The intersection at Eastgate shopping center has been redone as part of the Ephesus-Fordham project that was approved in 2014. There is one piece of it that's confusing to me. Here is a dashcam video that shows my car and two others taking three different paths through it on Sunday October 8, 2017. I believe my path was the correct one [later confirmed by a police officer], but I can understand why the other two cars took the paths they took. The town needs to fix this so that there less confusion. I don't understand what the white "zebra-striped" area is for. Here is another video of the same intersection. I returned to the intersection a few hours later to take pictures and a short video panning it. While shooting the video, two cars repeated exactly what I experienced! 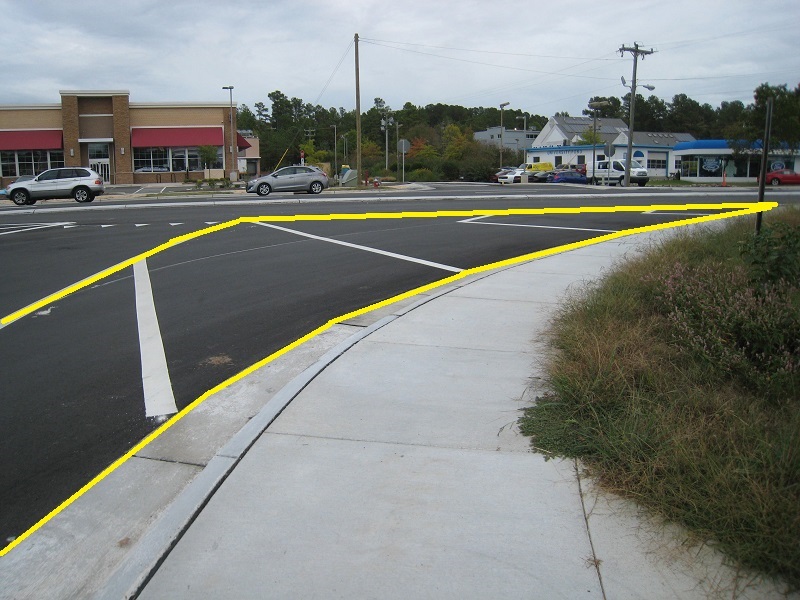 This picture best illustrates why drivers are confused. I can't even figure out how best to describe the area that I've outlined in yellow. I call it a "zebra area". Cars are not suppose to be in it. It's not a travel lane. If it's not a travel lane, then what's it for? A bike lane was promised, but as you can see, it's missing. The bike lane was supposed to extend all the way to Legion Road. The big hype about the Ephesus-Fordham district was that it would be bikeable and walkable. That promise has not been kept. A bike lane is supposed to be present for this to be a "complete street". This is a screen shot from my second video. Both vehicles intend on turning right (onto Ephesus-Church Road). The SUV is correctly in the "travel lane". The red Corvette is wrong. It is trying to pass the SUV through the "zebra area". Vehicles are prohibited from being in it. To me, it's not obvious that the zebra area is a no-travel lane. It would be better if it were separated via a curb. Another problem is that we have to turn our heads over 90 degrees to see if vehicles are coming from the left. Trying to do that and avoid colliding with a vehicle passing you on the right is a challenge. Here is my dashcam video of the intersection on December 16, 2017. It has been repainted to make it less confusing. Bold arrows were added. Cheers!